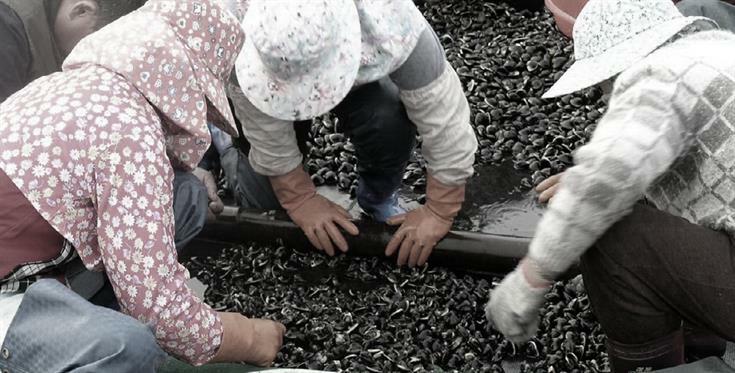 The aquaculture is one of the main industries in Kouhu area, and the hard clam farming is the most among them. Hard clam from Kouhu area is relatively darker. Therefore, many wholesalers usually bleach the hard clam for better product image. Considering the food safety, Ming-Tsun Tseng has developed a method to make SPA for the hard clam without using any chemicals while the hard clam can still shows the most natural color and luster. The Hard Clam Raising Center is near the Bozihliao Fishing Port with natural scenes of fishing industry, the fish farms located one after another, the spray from the turning water wheel, and the flying seabirds and egrets from time to time, which really make a charming rural view, and make the center an excellent choice for holidays and leisure time.